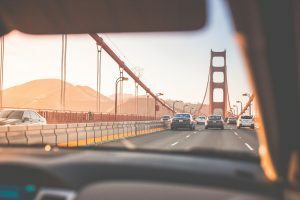 A final rule from the California Bureau of Cannabis Control went into effect this month permitting delivery of cannabis anywhere in the state – even in cities where cannabis has banned. It was no secret the California League of Cities was majorly opposed to this, and last summer submitted an open letter to the cannabis control regulation office arguing the regulation – Section 5416(d) – undermined the ability of local agencies to set their own community standards. The BCC moved forward with the proposed rule anyway, and now our L.A. marijuana delivery attorneys are monitoring the situation, as cities appear poised to duke it out in court. Meanwhile, amid a spate of arrests by the California State Highway Patrol of marijuana delivery drivers and seizure of their cannabis company goods, the California Office of Administrative Law issued a ruling last week issued a ruling clarifying how marijuana distributors should move about the state. This new rule affirmed the BCC’s regulation indicating these operators can deliver to any jurisdiction, provided the delivery is conducted in compliance with all the BCC’s delivery provisions in place at the time. It’s been over one year since California opened the largest U.S. retail market for recreational marijuana. Nobody disputes that limited personal possession and private use of the drug is legal almost anywhere (with some restrictions allowable for federal buildings and property, landlords and private property owners). However, the restriction of cannabis sales is within the purview of local communities, per Prop 64 (the measure voters approved in legalizing recreational use marijuana). The question is where deliveries fall in all of this because while it does equate to distribution, actual sales occur elsewhere. And of of course, as our L.A. marijuana delivery attorneys know, rules for marijuana delivery are likely to be hard-fought as well. In addition to the California League of Cities, others opposed include state-organized local police chiefs and others in law enforcement. Some say they’d support deliveries for medicinal patients, but not recreational users. Meanwhile, state-sanctioned marijuana delivery was an important provision pushed hard by cannabis companies and consumers precisely because of the fact so many had banned commercial marijuana activity or hadn’t set up rules necessary to allow legal sales. According to the North Bay Business Journal, advocates on either side are mulling whether to pursue a lawsuit, legislation or both to address the marijuana delivery dispute. Meanwhile, other legal woes relating to California cannabis delivery include a class action lawsuit, Goldman et al v. California Highway Patrol, filed in a California Superior Court in San Francisco, asking a state judge to bar the highway patrol from seizing cash and other properties from employees of a marijuana delivery company based in Hubmolt County to the Los Angeles area last year. In the course of those traffic stops, an estimated $257,000 in cash was seized by the state agency. The claim is brought on behalf of cannabis businesses, cannabis medical patients, California taxpayers, alleging unreasonable search and seizure and violation of civil rights. The lawsuit asks for a preliminary and permanent injunction to bar the agency from turning over assets seized from these stops to federal authorities (from whom claimants will have virtually no hope of getting a return). At least two separate civil rights lawsuits have also been filed in response to these incidents, with drivers alleging their arrests were unlawful.